For an Italian, nothing says Sunday like a wooden board full of Fresh Tagliatelle just made. This is without any doubt one of the best memories of my childhood: arriving to my Grandma’s house, smelling the tomato sauce already before passing through door and then finding her kneading and cutting Pici, the traditional Tuscan Fresh Pasta. In a few moments, a bunch of people would arrive – aunts, cousins, friends – to eat such a simple but delicious meal and enjoy nice moments together. Nowadays the Big Sunday Lunch is a bit rarer, but when we manage to gather, we all know that a giant plate of Fresh Pasta with Tomato Sauce is waiting for us. Make Fresh Pasta at home: healthy and funny! Making Fresh Pasta is easier than you think. It doesn’t require any special ingredients — just flour, olive oil and salt and eggs depending on the recipe – nor any special equipment. It’s actually pretty quick: mixing and kneading the dough takes about 10 minutes, then you let it rest for 30 minutes. You can use this resting time to pull together the ingredients for the pasta sauce. After resting, rolling out and cutting the dough takes maybe another 10 to 20 minutes, depending on how fast you go and how many helpers you have. In fact, you can get the whole family involved! Kneading can be really fun for your children: after all it’s just like playing with Play-Doh so they can be really good at it! Making Fresh Pasta together can be a nice Sunday distraction and a good way to make the dinner inviting. The icing on the Cake: Fresh Pasta is healthy. Pasta is primarily a carbohydrate, but it also contains a good amount of Fiber and some Protein. Interestingly, Fresh Homemade Pasta is lower in calories and carbs than dried Pasta when cooked and would be better if you are diabetic or watching calories. If you are in a hurry or don’t feel confident in making it yourself, you can use a food processor to make the dough. Just dump all ingredients in together and flick the switch on. Everything will combine quite quickly, and when it starts clumping into a ball, turn it out onto a clear bench and knead it with your hands for another minute or two to get the mixture nice and elastic. 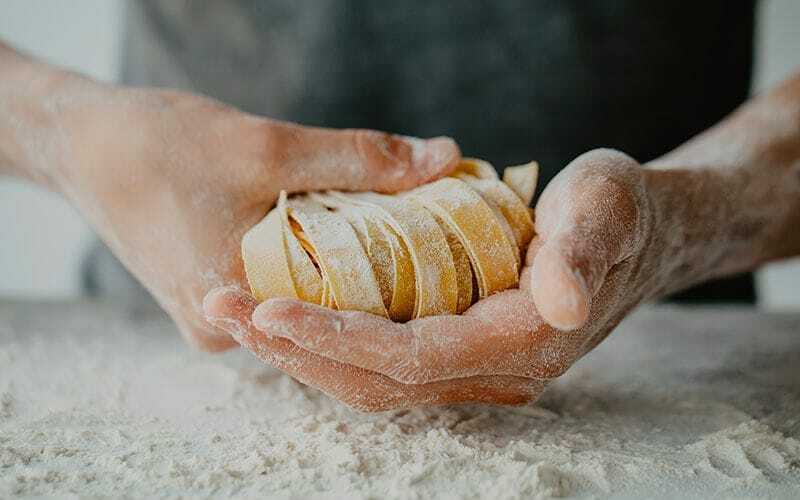 A Pasta Machine is really great if you plan to use it regularly, but you can also roll your pasta with a Rolling Pin and cut the noodles with a sharp knife. If you don’t have any equipment, or want to try to make everything by yourself, you just need to gather all the ingredients and follow the recipe by Juls' Kitchen and… have fun! 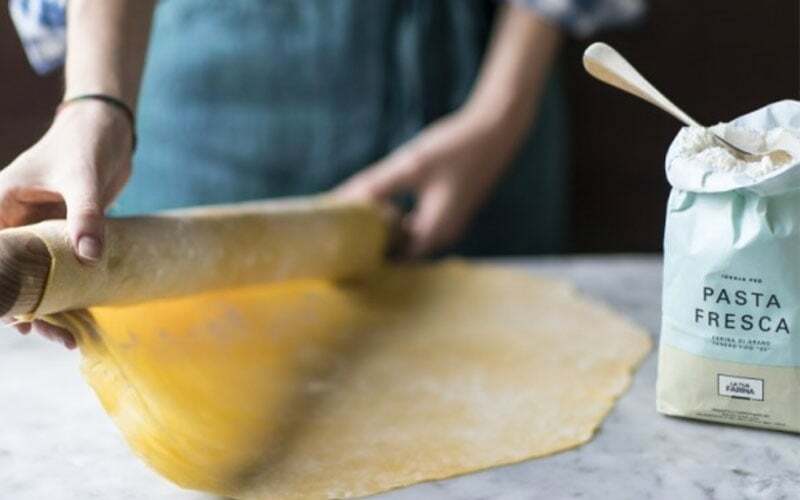 The recipe is for Pici Pasta, a kind of chewy, thick Spaghetti typical of Tuscany… but once you have the dough you can actually cut it in the shapes you prefer from the thin Tagliolini to the larger Tagliatelle or Pappardelle. Whatever you decide, the most important thing is using the right ingredients: as Italian people believe, “good ingredients equal to good food” and always remember that not all the flours are the same. You can check in the aisle of your closer super-market: there are countless kind of flour with different cooking and baking qualities. So you need to choose carefully the Flour you’re going to use: La tua Farina Pasta Fresca is a soft wheat 00 Flour, ideal for traditional Fresh Pasta. The grain blend and its milling have been specially formulated to allow pasta to maintain its natural yellow coloring for many days without turning grey. Thanks to its coarseness, it retains perfectly even the heartiest sauces. Last but not least, its elasticity makes it ideal for manual use, mixers and pasta machines. Its special formulation also allows a really quick cooking. For over than 80 years, Molino Pasini is a flour milling company specialized in producing high quality soft wheat flours for both professional and domestic use. The careful selection of wheat kernels, the use of the latest technologies and the attention for details make the company a perfect expression of the Italian art of expertise. 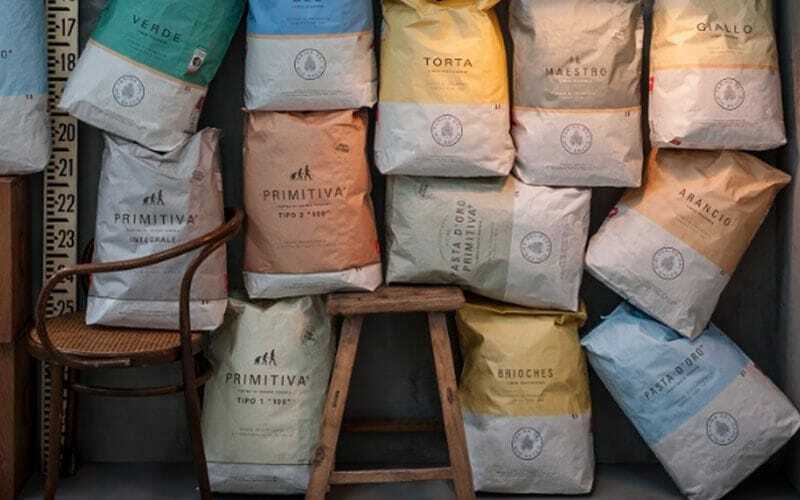 La tua Farina line has been launched last year to provide amateur chefs with the technical flours studied and used by the most important chefs. 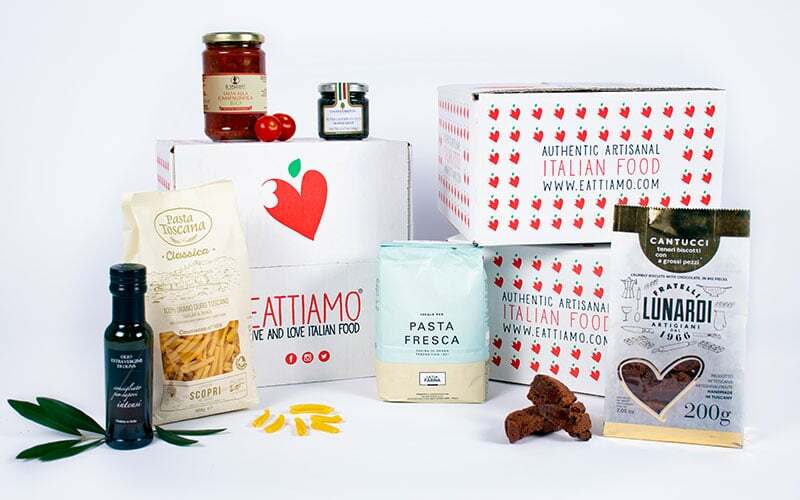 The line features twelve kinds of flour: for Pasta Fresca, for Pastries and Cakes, Organic, with Yeast… a selection of top-quality products for kitchen-lovers, finally available in the convenient 1 kg format.